I arrived home to find that my Internet connection via satellite was down and out. It has taken a week or so to get it running again (and don't ask how much $$$$). Anyway, this calls for more than one item to be posted today because I know that you have been anxiously awaiting the new items. Just remember that if you want to see more or bid on this item you can go the the auction here. 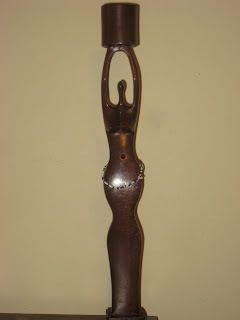 So, item one is a wooden candle-holder that is is the depiction of Afrikan Power. 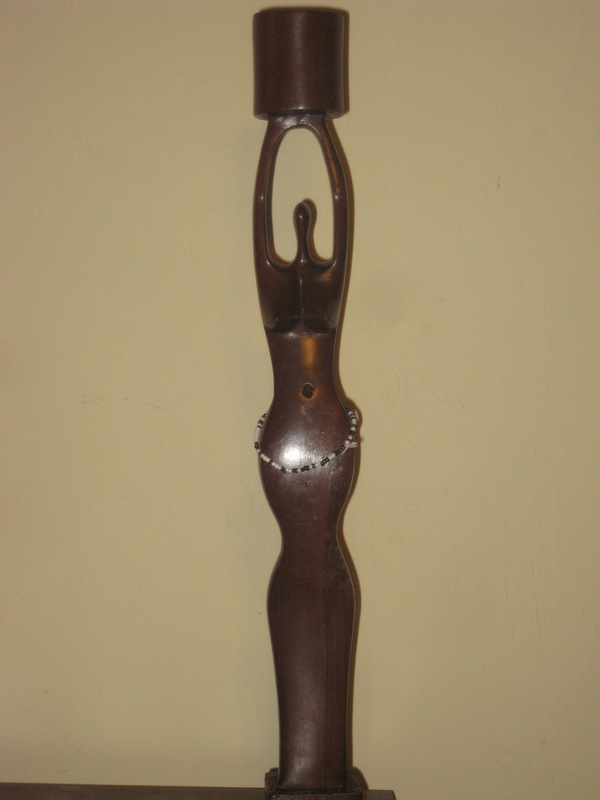 A beautiful woman.This sleek and sumptuous woman is standing tall with waist beads drawing emphasis to the true power of women. It's beauty is very powerful. 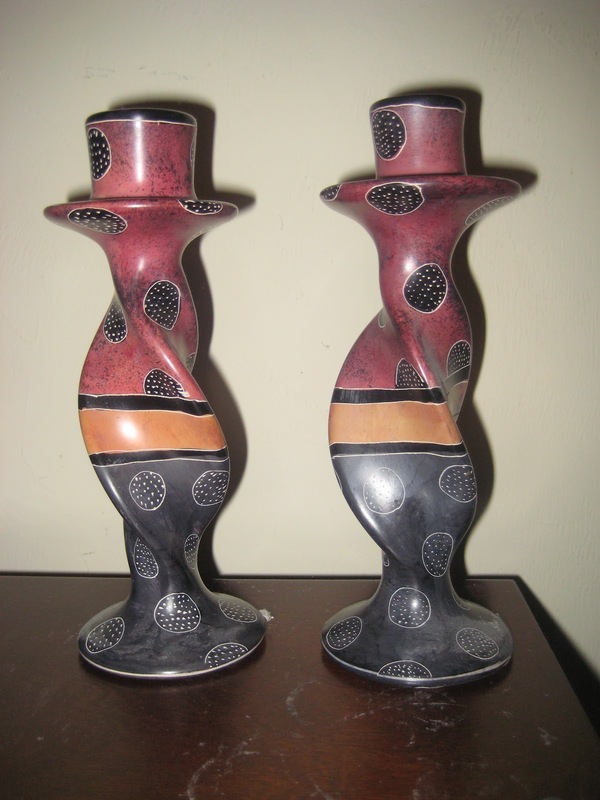 The next item is a pair of candle-holders that are colorful and easy on the eye. They can be used for an intimate bath, a peaceful ambiance at home, relaxing outside, or any other occasion. 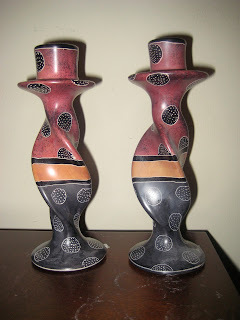 The design on the candle-holders is bold and you would just love them!